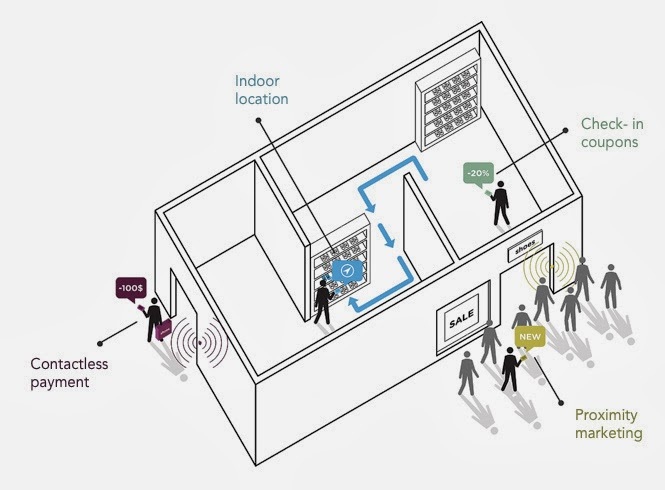 Indoor locational system, for the moment, the function iBeacon especially for brands and stores to use new marketing channels to interact with the customer via their smartphone. Imagine the following scenario: you walk into a shoe store when your smartphone calls you: "Hey! If you buy this pair of shoes that is in front of you, beige color, you have immediately 20% discount. "That is nice, right? Here is the type of experience (it's not shoes but high tech products) that can live now visitors 254 stores Apple Stores in the United States via the proposed devices on iOS 7 iBeacon service even if the system is compatible with all smartphones that support BLE (Bluetooth low Energy, or Bluetooth 4.0) as for Android version 4.3.
iBeacon is a competitor of the NFC. Even though the flow rates are comparable (very low, of the order of a few kb / s), BLE allows coverage between a chip and a phone between 30 and about 50 meters. It is therefore no question of sending heavy but pushing information notifications in a timely manner content, as a promotion. Thus, BLE sensors are installed in a store, for example, to geotag the consumer and the track for the duration of his career. Meanwhile, the consumer shall, in the case of the visit of the U.S. Apple Stores, Apple Store installed and activated Bluetooth. Specifically, it suffices to deploy some sensors in place to cover it. Unlike the NFC chip that requires each article. 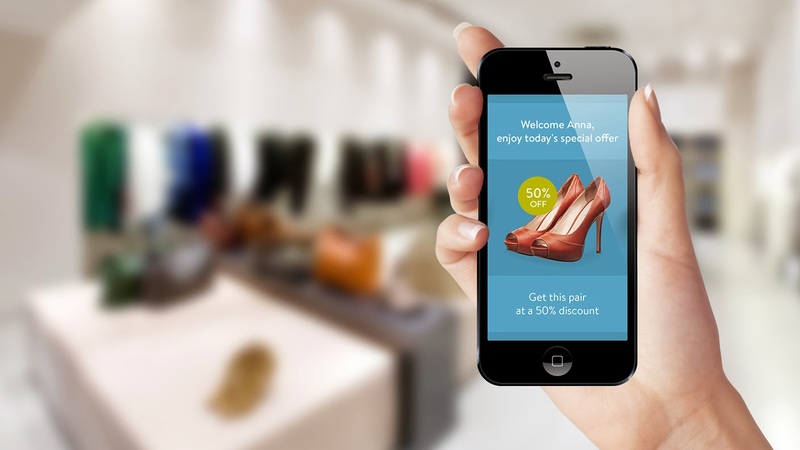 In the United States, several bloggers have reported their experiences in stores with iBeacon. At the moment, they all noted the potential for this technology, it is not yet fully developed. For example, some report that the system is not calibrated, sends notifications about the same class several times during the course of the store, does not mind the wishes of the client. It is true that if you want a case for your iPhone into an Apple Store and promotions on MacBook Pro are available, it does not much interest. In contrast, other use cases are already provided in museums. Imagine in front of a table and receive a notification that will explain its origin, tell you more about the artist, the context..